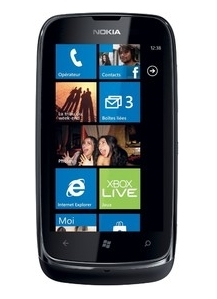 Nokia Lumia is packed with FM radio It allows you to stay tuned your favourite stations. The phone has a Music Player and Video Player. Music player support MP3, WAV and eAAC+ formats and the Video Player support 3GP, MP-4, H.263, H.264, WMV and ASF video formats. 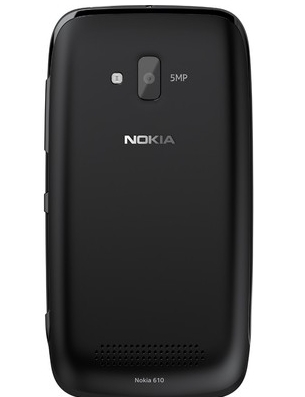 The Nokia Lumia enabled with GPRS, EDGE, 3G and Wi-Fi connections. The 1300 mAh Li-Ion battery provides Talk time up to 10-hrs (2G network), up to 9-hrs (3G network) and stand-by time up to 670-hrs on 2G and up to 720-hrs on 3G network. Facebook, Twitter, LinkedIn, Nokia Email, Gmail, Yahoo Mail, Windows Live, Hotmail, Instant Messaging, Flickr, Picasa, Twitter and YouTube are available in Nokia Lumia.